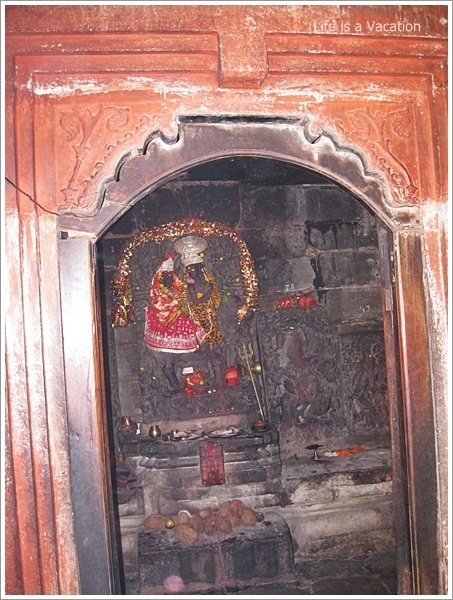 The Chausath Yogini (64 Yogini) temple of Jabalpur is one of the few such temples in the country. It was built in the 10th Century AD by the Kalachuri kingdom and has a distinct resemblance to the temples of Khajuraho in structure. A Yogini is a female attendant of the mother goddess, who slays illusion with fiery passion through insight and liberation. This small yet ornate temple is located in the Bhedaghat area between Dhuandhar and Marble Rocks It is easy to climb the 100 odd steps to reach the compound and the temple looks beautiful in sunlight. The idols of the Mother Goddess and Lord Shiva seated inside lend a divine aura. The 64 sculptures of Yoginis inside the temple which are placed along a semicircular compound wall have been ravaged by time. 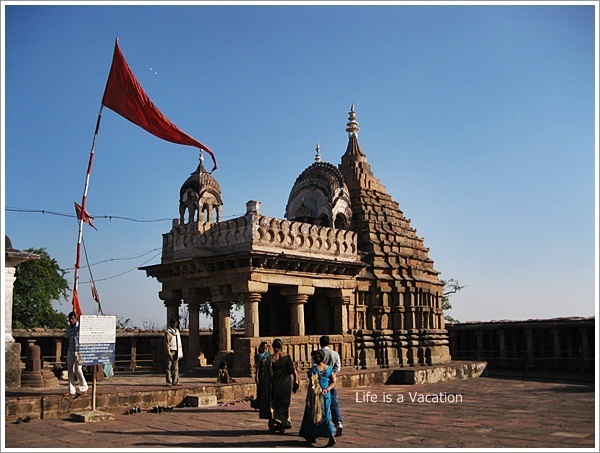 The view of Narmada and the surrounding greem plains from the temple compound is soothing and calm. I sat on the bench under the tree next to the temple for a while, hoping one of the Yoginis will atleast awaken and slay my inner demons. Nice blog thanks for sharing such a great and informative post. I visit this temples last month, this is very nice and famous temple. We can find more Indian temples by one click on India temples.. Thank You. Yes, I was mesmerized by the temples. are there 64 different Yogini temples ?? No. 64 yoginis are in one temple. discovered or excavated by rakhaldas banerjee of asi? when the temple-compound was excavated?